Euphoria Marijuana has a very heavy blooming and great yields of top quality. presents a very heavy bloom producing an excellent material of high quality in generous quantities. It offers an euphoric psychoactive high due to its high levels of THC. Euphoria from Dutch Passion it's an elegant selection of Skunks, very commercial, very heavy flowering anmd great yields. 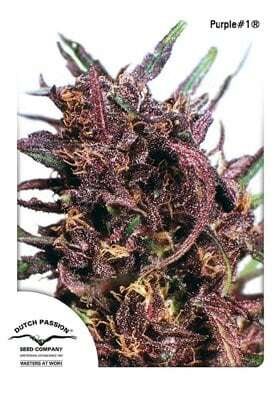 Euphoria is a special strain that was developed in 1996 by the Dutch Passion Seeds breeding team. In fact, this team contribute for the creation of a great Skunk family including the Original Skunk #1, Skunk #11, Skunk Passion, Orange Bud and Euphoria. Euphoria, besides yeilding very high productions of 400-600 g/m2, belongs to the uniform Skunk line, proved to be powerfuls, reliable and very stable. All resulting plants are extremely beautiful thus being a great choice. Outdoor growers in Holland and after a good summer were able to an abundant harvest of top quality Marijuana. The perfect environment for Euphoria to grow is in the greenhouses which is collected in late October or early November. It is very easy to clone thus being the ideal mother plant to take cuttings giving healthy and uniform plants. MEuphoria became the favorite choice of many growes due to its stable genetics and ease of cloning. Its special euphoric psychoactivity is very appreciated by many consumers. In fact, this special euphoric psychoactiviy explains its medicinal use. A couple of workers consider this strain as their favorite and think that all growers should try it at least once in their lives. The plants are able of reaching between a meter and a meter and a half, release a fresh smell and have a rich skunk taste not too sweet. The buds/leaves ratio is considered to be 50/50. The THC levels are of 18% thus being extremely powerful. In indoors, we recommend to collect the plants after 7 weeks of waiting, not exceeding the 8 weeks as otherwise you loose some qualities regarding its effect. Euphoria is highly recommended by our team. It is uniform, very productive and has an anti-stress psychoactivity that lets you relaxed, mind-free and happy. Indeed, it is an ideal solution to combat modern society stress. You will love this beauty skunk from the nineties.